The Rapid Power Advance is a powerful and quick drying carpet cleaner, which has an extra-large tank capacity and separate wash and rinse modes. 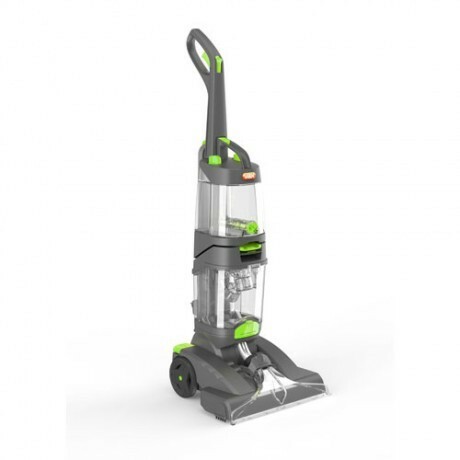 It is equipped with a SpinScrub brushbar, quick drying Dual V technology and a wide cleaning path for capturing deeper down dirt, while there is a stretch hose for cleaning above the floor and up and down stairs. Also use Vax Ultra+ detergent and pre-treatment solutions to tackle stubborn stains. 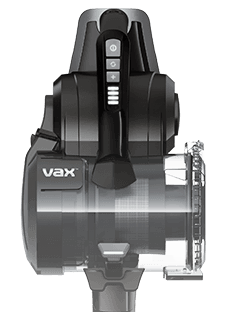 Payment Plan of 4 x monthly instalments of £12.50 applies to Vax Rapid Power Advance Carpet Cleaner - 4 Easy Payments only, additional items to be paid in full at checkout. The RapidPower Advance dries in less than 1 hour leaving your carpets clean, dry and smelling fresh. Feauturing a hand wash tool and stretch hose to make washing upholstery and stairs easy. You can clean above the floor, stairs, car seats or any stubborn spot stains and spills. This carpet washer not only washes your carpets, but also rinses them for a thorough clean. The rinse function will rinse any shampoo residue left behind in your carpet after washing, leaving your carpets looking, feeling and smelling like new. You'll be able to tackle old stains, accidental spills, and refresh tired, dull looking carpets without a worry. With a large tank capacity, wash and rinse functions and a wash tool and stretch hose, the Vax RapidPower Advance allows you to deep clean carpets and upholstery all year round without the hassle of hiring or renting a carpet washing service. 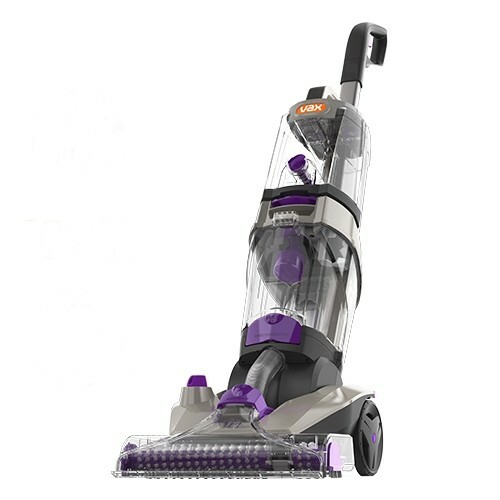 The 6 SpinScrubTM and rotating brushbars clean deep within the carpet fibres removing the trapped, embedded, dirt that vacuuming alone cant. *Tested in express mode on PP, Wool and Nylon carpet. Results may vary.